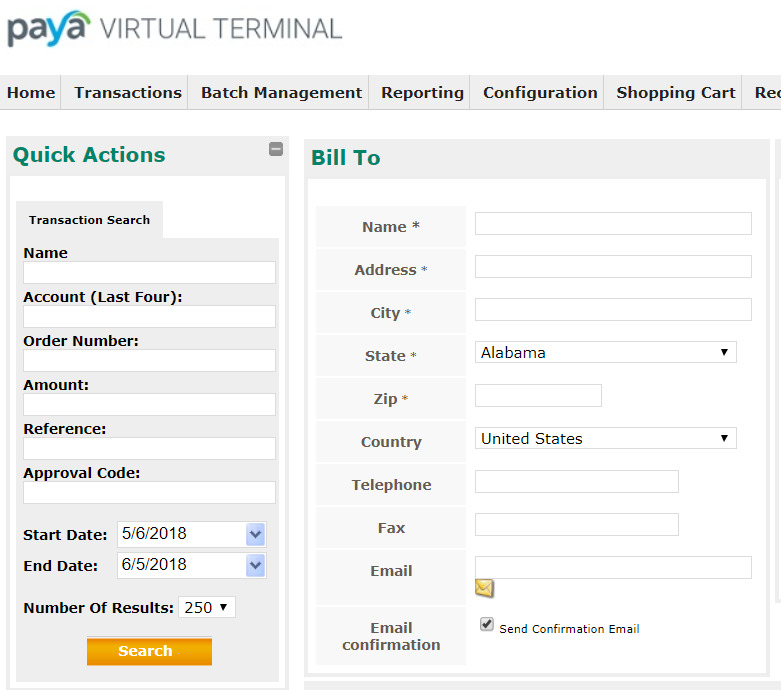 Support Home Paya Virtual Terminal How do I process a transaction in the Virtual Terminal? 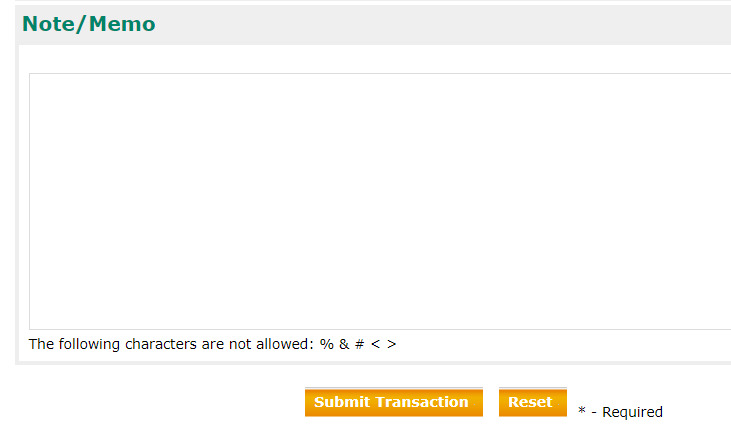 Enter the amount of the transaction. 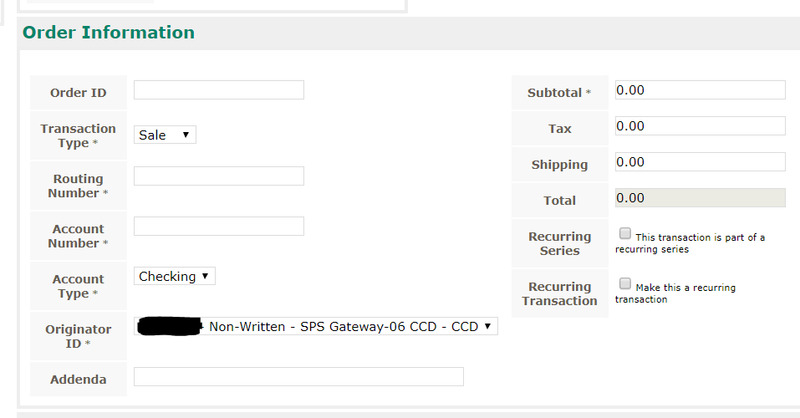 Only the Subtotal field is required. 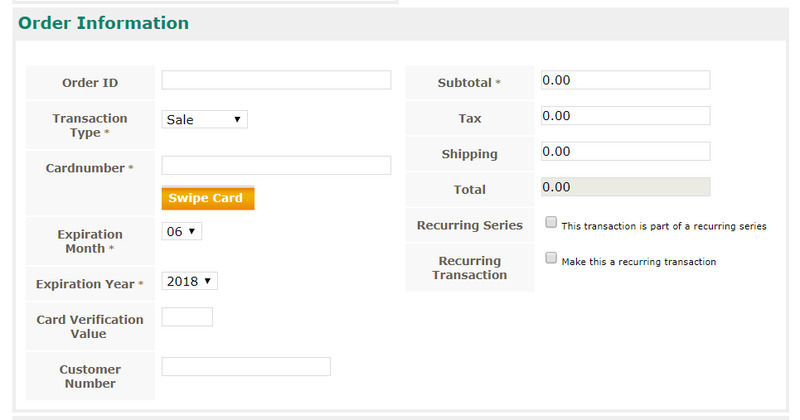 The Total field cannot be edited; it is the sum of the Subtotal, Tax and Shipping.